The great recession and double dip recession in Albuquerque continues to have a devastating impact. Some reports indicate the city lost $1.5 billion in wages since 2007. On a personal and professional level, I’ve seen friends and competitors leave the state for other, greener pastures. I miss them but don’t blame them. We all have to do what is needed to survive and eventually thrive again. One of the great bright spots in Albuquerque’s horizon is in the City of Albuquerque’s economic development office, Gary Oppedahl. In addition to being the department’s director, Gary is also a proven tech entrepreneur. Sitting down with him recently, it is very easy to be optimistic about the future for tech firms in Albuquerque. He is one of “them” and speaks the tech language. This is a good thing. He plays to his strength’s which is knowing Albuquerque about as well as he knows the life cycle of tech companies. It seemed like we had a 2-hour conversation in 30 minutes. Central to Gary’s plan to promote tech entrepreneurship in Albuquerque is a blueprint of sorts, developed by Brad Feld. Feld is the tech entrepreneur who captured and best explained tech success in Boulder, Colorado. Gary told me that in order to appreciate Albuquerque’s developing tech road map that I should, “read Startup Communities by Brad Feld.” I downloaded the audio book and listened to it twice while traversing New Mexico for company business. The premise of the book is built on an approach called the Boulder Thesis. It is a set of four rules that will help to create vibrant tech communities. Those foundation elements include: The tech community needs to be led by entrepreneurs, it needs to be a long term commitment, it needs to be inclusive and engage the community. Make sense? Yeah, that’s what I thought. Check out this fun and short sketchbook video by the Kaufman Foundation that does a better job of illustrating it. Here is the exciting thing, the steps outlined in the Startup Communities book are already coming to life. ABQid is a tech accelerator that already has its first class. The 1 million cups of coffee mentorship approach is already 60 cups into its Albuquerque journey. 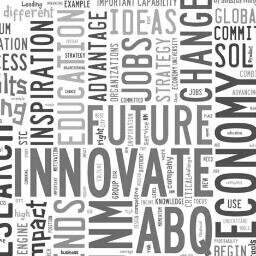 Both of these initiatives are under the InnovateABQ umbrella. It is a collaboration of public and private sector that is dedicated to creating an environment where the tech community can test, succeed and fail (only to try again).